Lock your Flash Drive by BitLocker . . . Sometimes you may need to protect your USB Flash Drive/ Pen Drive or Drives of your PC. And for this purpose you may use or think of using third party security tools. But do you know that Windows OS offers a better way to secure your drives? Yes! 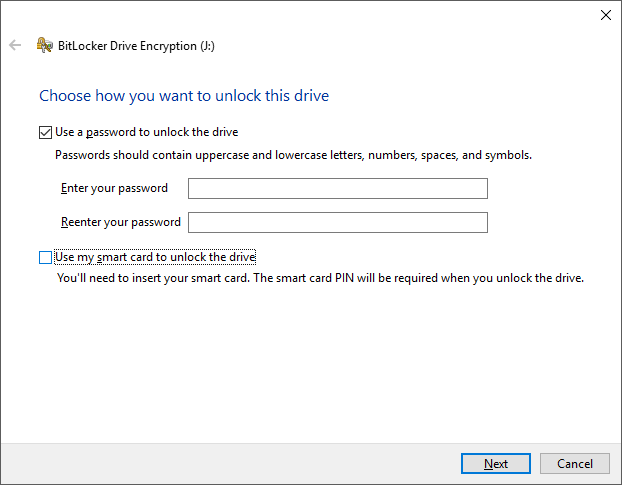 BitLocker Drive Encryption could be a great tool for you . . .
And remember, I'm working on Windows 10. So few terms may not match with yours if you're on Windows 7 or 8. Don't get nervous in that case. Simply try to find the similar terms. Insert your Flash Drive on USB Port. 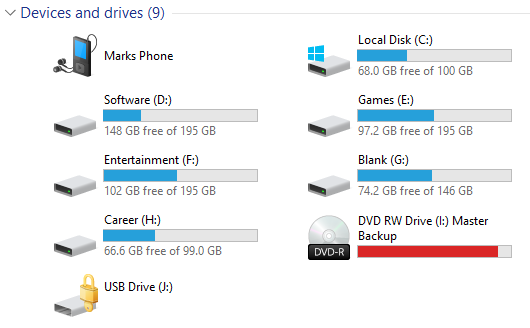 Now go to This PC/ My Computer to see your drives. Right Click over your Flash Drive and Choose Turn on BitLocker. Now you will see a window asking for password. Choose use a password to unlock the drive. Now enter your password 2 times. Remember, password should contain Uppercase and lowercase letters and numbers. > Press Next. Save recovery file to your desktop and Press Next. Choose Encrypt used disk space only > Compatible Mode > Start Encrypting. Wait sometimes and you will see Encryption is complete! Now remove your Flash Drive and insert it again. Check your drives and you will get your Flash Drive locked. If you try to open it then it will ask your password. Keep your recovery key in a handy place. If you forget your password then recovery key will help you unlock it. 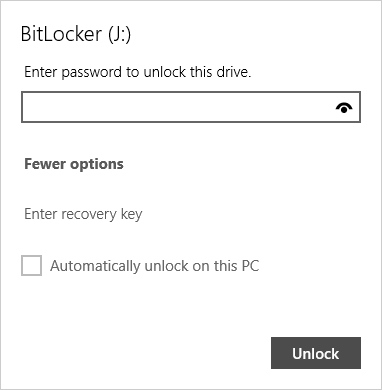 How to Turn off BitLocker? Right click on your flash drive. Click on Turn off BitLocker. Now you will get a window decrypting your drive. Wait few moments and this feature will be turned off for your drive. If you forget the password and lose your recovery key, then the only way to access your drive is to format it. And it that case you've to lose all of your data contained inside. So be sure about the safety of your data. Don't eject your device while encrypting or decrypting. It may cause damage to your data or device. Encryption and decryption speed depend on the amount of data you stored in your device. By no means Marks PC Solution will be responsible if your drive gets damaged or if you lose important data. Thanks for your time. See you in the next post . 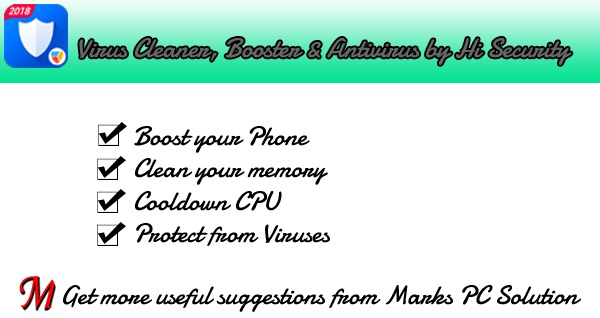 . .
Super Speed Cleaner with Antivirus & Booster . 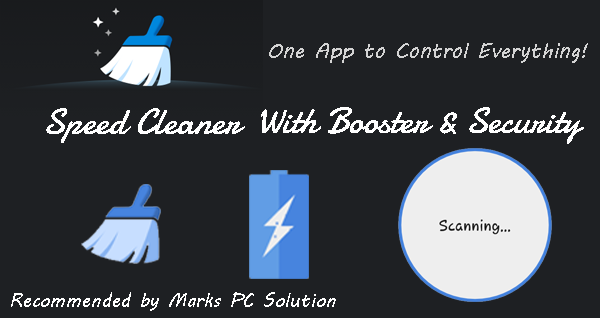 . .
Clean Master is a traditional tool to keep your Android Phone running smoothly. But currently I prefer another tool called Speed Cleaner. It's small in size and works quite perfectly to keep your device clean, fast and safe. Let's give it a try . . . 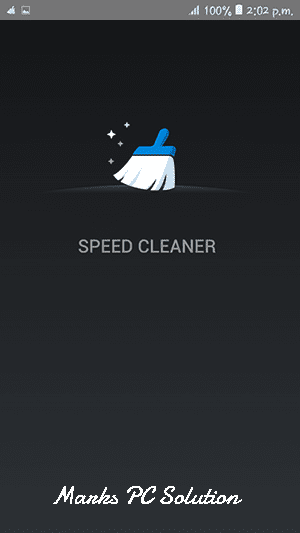 Junk Cleaner - Clean your phone within moments. 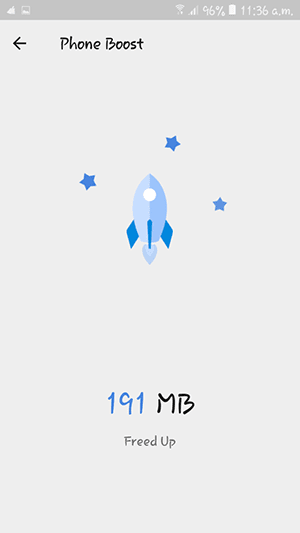 Phone Booster - Make your phone fast. One-Tap Boost available. 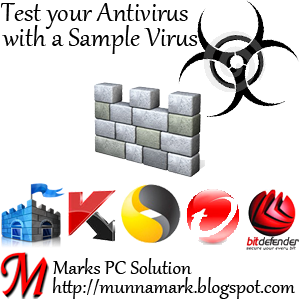 Antivirus and Security - Scan, detect and fix security issues. Call Assistant - Manage your calls - Blacklist, Blocking etc. Smart Charging - Full Charge & High Temperature Reminder. 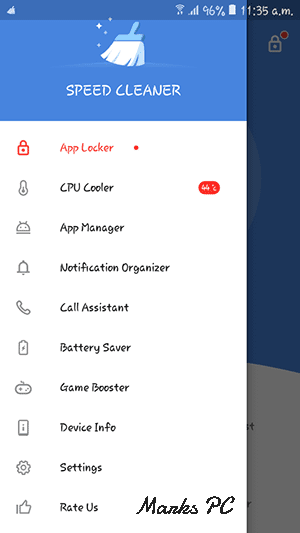 App Lock - Lock the apps that need to be protected from anybody else. CPU Cooler - Reduces phone temperature . Battery Saver - Kills unnecessary apps and saves your battery charge. App Manager - Manage your applications. After installing this App, you will get its icon at notification area. From there you can easily access its services (Cleaner, Cooler, Booster & Flashlight) quickly. I'm not demanding that this is the market's best tool for your Phone! Just because it seems very handy to me and I shared my experience with you. So try this at your own responsibility . . . Junk files are really annoying for smartphone users. And these phones are also vulnerable for virus attack. Throughout the play store you may get thousands of cleaners and virus guards to enhance your experience. 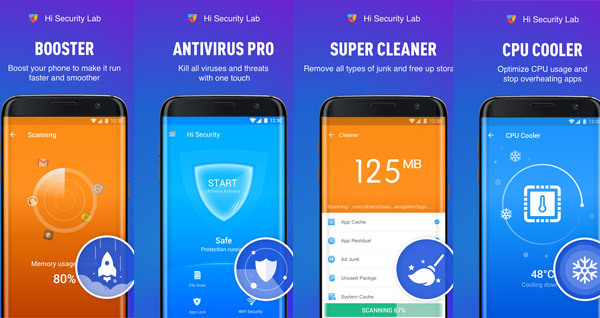 Today I'm gonna suggest you an app that will clean, boost and protect your phone from viruses . . .
After downloading the file it will be installed automatically on your device. Then you may see some shortcuts on your home screen. Keep them if needed or remove them if they consume your space. But a cool feature of this tool is that it will create a shortcut in your notification area. And you can easily Scan, Boost and Clean your phone memory. Hope android users will really enjoy this tool . . . Couple of days ago, I noticed a sudden fall in my site's traffic. It was not clear why Marks PC is experiencing a decreasing traffic. Later I discovered a harmful content in my site. That's why Google Chrome was stopping visitors to enter my site. Then I fixed the issue with the help of Google Safe Browsing and Webmaster Tools. In this post, I'm gonna share my experience with you . . . 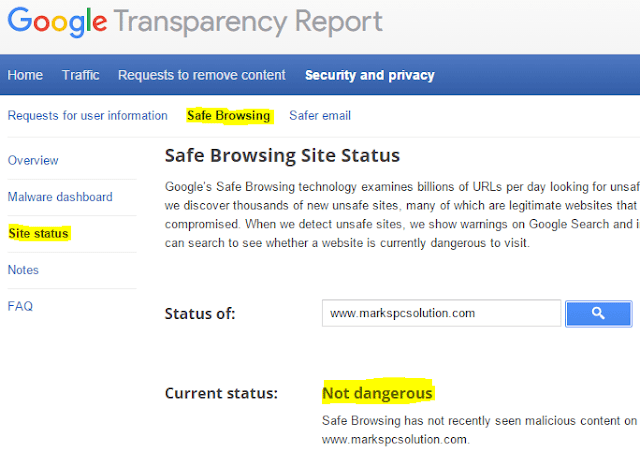 Safe browsing site status is a part of Google Transparency Report. Everyday it collects and examines billions of URLs to find out harmful contents on those websites. If a site is safe to surf then it's okay. But if harmful contents are found, Google enlists the sites in blacklist. 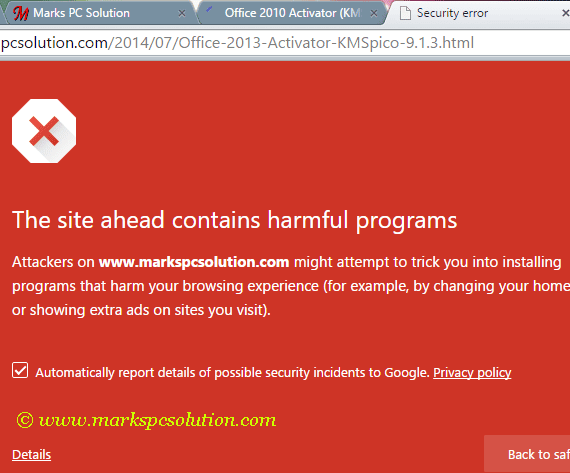 And Chrome browser shows warnings to the visitors. You can check any site on Safe Browsing Site Status. It maybe your own site or any other site you visit often. So, what are you waiting for? Let's check a site on Google Safe Browsing Site Status . . . Here you can see a search box named Status of. In this box, you will enter the link of your desired website. As soon as you hit the search button, you will see the current status. If the site is okay, you will see - Not Dangerous. If any malicious contents are found, you will see the status like dangerous or harmful. If you're a site owner and find your site dangerous, don't delay a second. Immediately go to the Google Webmaster and sign in there. There you will get a message for critical issues. Sometimes you may know what is the problem exactly. Then fix it and inform the Google Webmaster that necessary actions have been made. Then you will request a review for your site. If you're not sure about the problem, then talk to the experts. Or sometimes this problem might be caused by harmful ads shown on your site. In that case, you need to talk to the Advertisers. And never avoid this issue. If you avoid it, then your traffic will fall dramatically. And you will lose revenues. After taking corrective actions, Google will review your site. Within few hours (not more than 48 hours) Google will update your security status. How to Disable or Enable Autoplay? By default, when you insert any removable media (ie. Flash Drive, CD etc.) 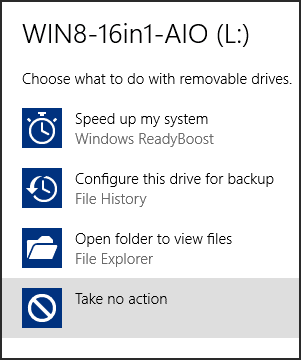 on your PC, windows will automatically open the drive. Or it may play media or start program contained by that drive. If you're good to go with this Autoplay Policy, then it's okay. But if your PC is vulnerable to virus, then you must turn off Autoplay. 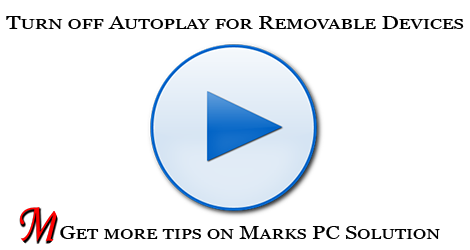 There are different methods for different versions of Windows which you can use to turn off Autoplay. But I'm gonna show you a universal method which applies to all running versions of Windows. Press Start + R to open Run. Type gpedit.msc > Press Enter. Now you will get the Group Policy Editor window. Hit on Administrative Template under Computer Configuration > Windows Components > AutoPlay Policies > Double Click on Turn of Autoplay. There are three options - Not Configured/ Enabled/ Disabled. To turn off Autoplay, choose - Enabled > Apply > OK. If you choose Not Configured or Disabled, Autoplay will be Enabled. Note: Autoplay Policy is available both on Computer and User Configuration. You should always use Computer Configuration. Because if there is any conflict between the two, Computer Configuration settings will be preferred. Another handy way to turn off Autoplay is choosing - Take No Action. When you insert any media on your PC, Windows may ask you what to do? In that time, you can simply choose Take No Action to turn off Autoplay. Note: If you choose any action, next time this notification will not appear. Then open AutoPlay from there. Removable Drives > Choose Take No Action to disable autoplay or Choose Ask me Everytime. To enable autoplay, choose Open folders to view files. That's it. If you have any confusion, please leave a comment . . .
At the beginning, web technology was operated by the people who were committed to keep it safe. They were dedicated to build such a communication network that will turn the world into a Global Village. But there is a negative site everywhere. Some people always try to abuse the technology. They use technology to harm other people and thus try to get some personal benefits. What do you call them - Hacker, Spammer or simply Criminal? Other Google Products - Page that abuses AdSense, Google Maps etc. Phishing - Page that asks for sensitive information like username, password etc. 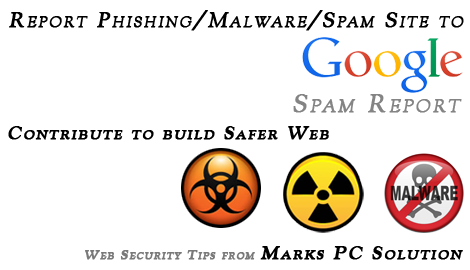 Google defines webspam as - the pages that try to trick Google into ranking them highly. And before you file a webspam report, you should decide which of the above categories best describes the page. If the page has multiple identifiable issues, I think you should report the site which will punish it more! If someone is copying contents from your site, you can report it to the Copyright and other legal issues category. And you must be the copyright owner. Or you can also report the site in Other Google Products category if that site uses Google AdSense Ads. Some sites share too much links. If you found a site which is primarily selling or buying links without providing services to the people, you can report that site under paid links. Users find it difficult to use the site due to the numerous links. Some sites have downloadable contents. And often they share virus or malware. If you found a site that shares virus or malware, you can report this site in Malware category. These sites are really boring for the users. Wherever you click on these sites, a pop up window may appear. Or you maybe redirected to another unwanted page. These sites could be reported in different categories. But I prefer Something else is wrong category. Privacy has been a great concern now. Often we see, some sites reveals secret information about different individuals which is against privacy. If you found a site which discloses your personal information or someone else, you can report it in Personal/Private category. Sites asking passwords, username etc. Some sites may ask your Facebook username or password to sign up or log in. Or they may want your Google username or password. Or they may ask for any information which they are not supposed to do. Sometimes you may find a fake site which exactly looks like a popular site. Suppose Facebok instead of Facebook. Or Goggle instead of Google. They are known as phishing sites. If you ever sign in to these sites by mistake, change your password immediately. Because you may loose your account anytime. If you found a phishing site, please report it in the Phishing category. It's popular method to hack someone's account. If you found a site which contains wrong information, exchanging links, copying contents from others, too much posts within a few days, misguiding the readers, redirecting the visitors to unwanted sites - in a word Massacre - you can report this site in Really webspam category. You may find all sorts peculiarities there! Some sites mislead the usres. Suppose you search something in Google and found a site appropriate for your query. But after visiting the site, you've understood that this sites doesn't contain your desired contents. But it provides wrong information in Google search result. You can report this site in Rich Snippets category. These sites use such a description in the search result, that influences users to click. But when the visitors enter the page, they don't find necessary information. If you think, the contents of a site is not appropriate, then you can report it in Objectionable contents category. Or if you fails to decide the proper category, then use Something else is wrong option. The last thing I would like to tell you, I personally hate Phishing, Spamming, Copying and Malware sites. What do you hate most? How to Sign out of Gmail Remotely? Your email account is as important as your cell phone. Even sometimes it's more important than a cell phone. Because it may contain lots of personal as well as official information. Once hacked, it could be really tough to get back. So, you should keep your email ID safe and secured. Today I'm gonna discuss about how to sign out of Gmail from a remote location. When I was in college, during my graduation, I used to sign in to my Gmail account from Computer Lab. And I used to select the Remember me option for quick login. One day, when I was working in my Gmail inbox, the electric supply interrupted. And I didn't have enough time to wait. So, I had to leave my account signed in to that browser. I was not sure whether the next user would get my account signed in or not. I was lucky that I didn't save my password. Otherwise anyone could see the saved password and access my account. However, there was nothing to worry about! Because Gmail has a great way to sign out of all other sessions except the current one. And you can also change your password any time. You may need to sign in to your Gmail account from different locations. Suppose your friend's PC, cybercafe, library, cell phones or any other public places. By mistake, if you forget to sign out, your account might be unsafe. Or if you lost your cell phone with Gmail account signed in, then what? 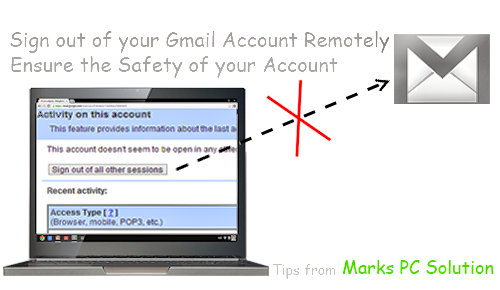 Simply sign out of all other sessions from your Gmail inbox. Since my account is not open anywhere, it shows - This account doesn't seem to be open in any other location. If there is any unusual login detected, it would show different message. Now look at the button - Sign out of all other sessions. If you hit on this button, your account will be automatically signed out from any devices/ sessions except the current one. If you're signed in into your mobile, it will also be signed out. Also look at the Recent activity table. It shows from where your account has been accessed, with location, IP address, date/time and duration. Hopefull this will be really helpful for you to keep your Gmail account safe. Facebook has also similar option. You will get it from settings. There is no way to escape from virus, spam or malware. Whenever you're with PC or Internet, you're at least the neighbour of virus or spam. But when you get headache, you can't cut your head. That's why our effort to keep something minimum will never end. Today I would like to talk about VirusTotal - A Free Online Virus, Malware & URL Scanner. There are many virus scanner you can find online. But VirusTotal is a subsidiary of Google that aims to make the internet a safer place. Most importantly VirusTotal demands itself a non commercial site. VirusTotal doesn't advertise any third party products and this prevents it from any kind of bias. VirusTotal is a strong site with PR 7 and below 5000 in Alexa Global Rank. It proves the engagement of the users with the site. After accessing the site you will get the following interface. File: This is the default option. Hit on the Choose File button, then choose your file from PC and finally hit on the Scan it button to get the result. URL: A very useful one. Select the URL option to scan any website or blog to check it's vulnerability. Type the URL or copy-paste in the box. Then hit on the scan button. Search: If you would like to search for any domain, URL or IP Address then you have to select the search option. Then enter the item and hit on the search option. Note: VirusTotal stores the reports for every single scan requested by its users. This allows users to query and render them without having to submit the items (URLs and files) for scanning. After hitting the scan button it may take few minutes to complete the scanning. A file will be scanned by approximately 50 antivirus programs. And a URL will be scanned by 53 URL scanners. You will get the detection ratio. And an indicator will be available at the right site. It will show you the reputation of the file or URL. If you're a member of the VirusTotal, then you can take part in voting and commenting. You can join their community to be a member. Join button is located left to the sign in button. If you have any query, don't hesitate to leave a comment . . .
How to Check the Performance of Antivirus? It's been a long time since I discussed about PC security last time. Because I've talked about MSE and Windows Defender. If you use any of the two in your PC, I believe you don't need any other security tools to protect your PC. But if you use any third party security tools or if you've any doubt about your current security software, you can check its performance by a sample virus! Windows users often purchase security software ie. Norton, Kaspersky, Bit Defender etc. Many of them use trial versions to protect the system. But how much safe you are? Are these tools really working for you? Can these tools detect viruses or worms? Let's check it! If your security tool is strong and if it has real time protection system, then you don't need to scan at all. It should be able to detect the file as virus automatically. If it doesn't detect the file immediately, then scan it. After scanning the file, if you see that your antivirus does nothing, remove the antivirus immediately. Because you're not safe with non performing security program. Rather it slows down your operating system. I've also checked this code by Windows Defender. Defender is able to detect this file immediately. Even if you save the file with .txt extension, defender can detect it. The background scanning system of defender is so strong. I believe Microsoft Security Essentials will do the same job as Defender. Both have tight security system. If your antivirus doesn't work well, you should use either MSE or Defender. Defender comes with Windows 8 by default. But if you're using previous versions of Windows, you can use MSE at free of cost. Protect your Documents, Workbooks & Presentations by Password !! If you're a regular visitor of Marks PC Solution you should notice, we've published lots of tutorials on Microsoft Windows, Microsoft Office and other software. We've also published many tutorials and tips regarding security issues. You can find those tips by using the search box. Or you can search by categories: Tips n Tricks, Tutorials, Microsoft, Windows, Security etc. Today, I would like to share another tips on security. Many of you might be familiar with the password protection system of Microsoft Office. If you're working with highly confidential documents, workbooks and presentations (ie. Exam Questions, Online Account Information, Personal Information, Other Secret files), then this is a good idea to encrypt those files by password. Note: The procedure is very similar in MS Word, Excel and PowerPoint. Open MS Office Document (Word/ Excel/ PowerPoint) > Go to Tools Menu > Select Options > Hit on the Security Tab > Type your Password on Password to Open Box > Hit OK > Save the Document. Now whenever you will open the document, first you have to enter the password. Then you will be able to access the file. I apologize for not sharing any image. I don't use 2003 anymore. I have been using Office 2010 for last two years. But this is very easy. You will have no problem to set password in Office 2003. Upgrade to Office 2010 or 2013 to enjoy exiting features! 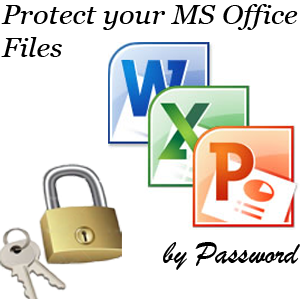 Open any of the Office Programs (Word, Excel or PowerPoint) > Now hit on the Office button from the top left corner > Choose Prepare and then Select Encrypt Document > A small Password box will appear > Type the Password > Hit OK > and then Confirm it > Save the Document. Open either Word, Excel or PowerPoint file > Click on the File button from the upper-left corner > Choose Info > Hit on the Protect Document from Permission section > Choose Encrypt with Password > Type your desired Password in the box and hit OK > Type again to confirm it > OK > Save the Document. Note: If you don't save the document after setting the password, then it will be removed automatically. Password will be enabled after saving the document. And remember, this password has no recovery options as you can do in Gmail, Yahoo or Facebook! So be careful! Well this is easier than you think! If you wanna change the password then repeat the whole process again until the password box appears. Then type a different password and save the document. And if you would like to remove the password then just leave that box blank and save the document. Password will be removed.